A JDW FITTINGS PACKAGE OR AN AV22 KIT. *Back pullout design for service without disturbing piping. *Two compartment motor for access to wiring and replaceable components. *Nozzle clean out plug in shallow well adapter. *Corrosion resistant, plastic tubing and fittings are easily removed for cleaning. 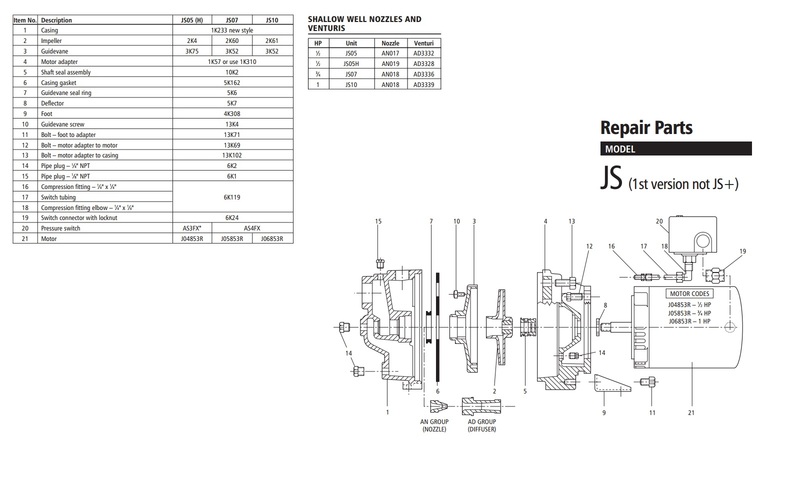 *Premium O-ring design fittings need only be hand tight to seal. *Impeller: F.D.A. compliant, glass filled NorylÂ®. Corrosion and abrasion resistant. *Diffuser (Guidevane): Bolt down LexanÂ® diffuser has stainless wear ring for extended performance in abrasive conditions. 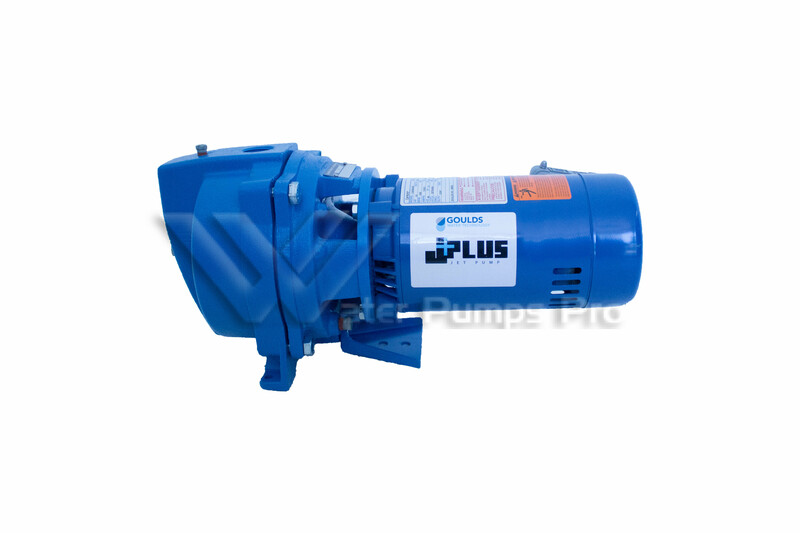 *Powered for Continuous Operation: Pump ratings are within the motor manufacturerâ€™s recommended working limits. Can be operated continuously without damage. *Corrosion Resistant: Electro-coat paint is baked on. *Protected Mechanical Seal: Diaphragm retains water in the casing to ensure the mechanical seal can never run dry. 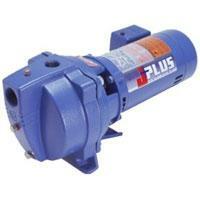 *Excellent Air Handling Ability: After initial priming the pump has the ability to re-prime itself. Will usually ship within 1 business day of payment clearing. Second day or Next day shipping can be arranged. Please contact us if you need expedited shipping. 1. Item must be returned within 14 days after receiving the item. 2. Item being returned must be unused and in its original packaging. 3. Returns are subject to a 20% restocking fee. If an item is damaged in transit, please contact us and we will send out a replacement item and file a claim with the shipping company. The manufacturer warrants this product to the end-user, when properly installed and under normal conditions of use, to be free from defects in workmanship and materials for a period of one year from the provided date of purchase for the original purchaser of the product. This warranty does not cover abuse, operation in a manner inconsistent with the productâ€™s design, or damage resulting from exposure to the elements. If the defect is considered â€œunder warrantyâ€�, the manufacturer will, at its option, repair or replace the product free of charge to the person who purchased the product. Items shipping within Florida are subject to Florida Sales Tax. At Water Pumps Pro we strongly recommend that all installation, repairs, and part replacements be undertaken by a certified and licensed technician, contractor, local pump and motor repair shop and not by the owner. Failure to repair pumps, motor and electrical equipment correctly could result in electrical shock, fire hazard, unsatisfactory performance, equipment failure, and even death. 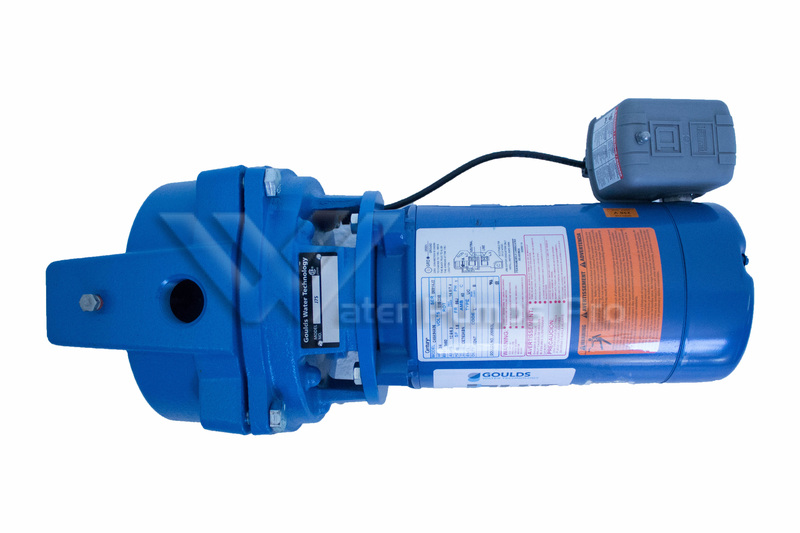 Neither the equipment manufacturer nor Water Pumps Pro makes any representation or warranty of any kind to the Buyer that he or she is qualified to neither install nor make any repairs to the products.